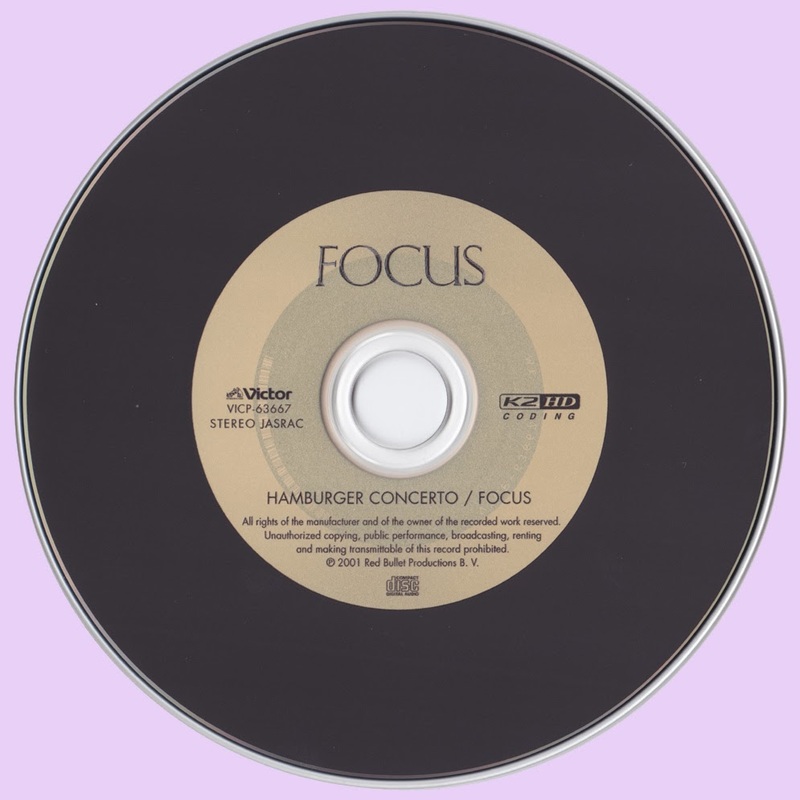 While Focus 3 did have some great stuff, I also thought the album got bogged down by excessive guitar and drum solos ("Anonymous II" was the guilty verdict). The band then recorded Live at the Rainbow in 1973, which was recorded at the Rainbow Theatre in London during the peak of their success. They were to record a followup to Focus 3, but the band was starting to have one of their bad times, Jan Akkerman not wanting to talk to anyone and Pierre van der Linden having enough of it and leaving. Some of the material for this never-released album ended up on the outtakes album Ship of Memories. Pierre simply teamed up with ex-Exseption keyboardist Rick van der Linden (no relation) and ex-Cuby & the Blizzards bassis Jaap van Eik to form a band called Ace, but since a British band was already calling themselves Ace (the group with a pre-Squeeze/pre-Mike & the Mechanics Paul Carrack, who had that hit with "How Long"), this Dutch supergroup had to call themselves Trace. Focus simply added a new drummer named Colin Allen, who a member of the Scottish group Stone the Crows. He was no match for Pierre van der Linden, so he simply resorted to more conventional rock drumming. So the new album with this new drummer, Hamburger Concerto ends up being regarded by many as their last truly great album, many go as far as regarding it as one of their best, and that I can agree. It was the rock critics who were less kind to this album. "Delitae Musicae" is a short, medieval piece played on lute by Jan Akkerman. This piece, no doubt, showed Akkerman's love for early and medieval music. "Harem Scarem" is the first cut with full band interaction. You'll notice right away this piece isn't as intense and in your face as "Hocus Pocus". And because Colin Allen isn't Pierre van der Linden, the band focused on a more sophisticated sound, which works just fine. You'll still hear that classic Focus sound, with the yodeling, and Akkerman's trademark guitar playing, and organ playing from Thijs van Leer. Thijs also gives us some "yeah, yeah, yeah" voices in this song too. "La Cathedral de Strasbourg" shows a more the more medieval influences of the band, with Akkerman giving some medieval style playing on his electric guitar, but there's also full band interaction, as well. "Birth" has a more Jethro Tull-like feel, especially from Thijs van Leer's flute playing. Then comes the side-length title track. Starts off classical-like, but then there's no mistaking this is simply a great prog rock piece, there are some mellower passages that get me thinking a bit of Pink Floyd. Synthesizers make their first mark on a Focus album, Thijs van Leer started to include an ARP Odyssey with his usual gear of Hammond organ and piano. This album doesn't feature any drum solo at all, unlike their previous albums, but then Colin Allen had no need for them. This is truly a great album to have, and I highly recommend it! Cheers! 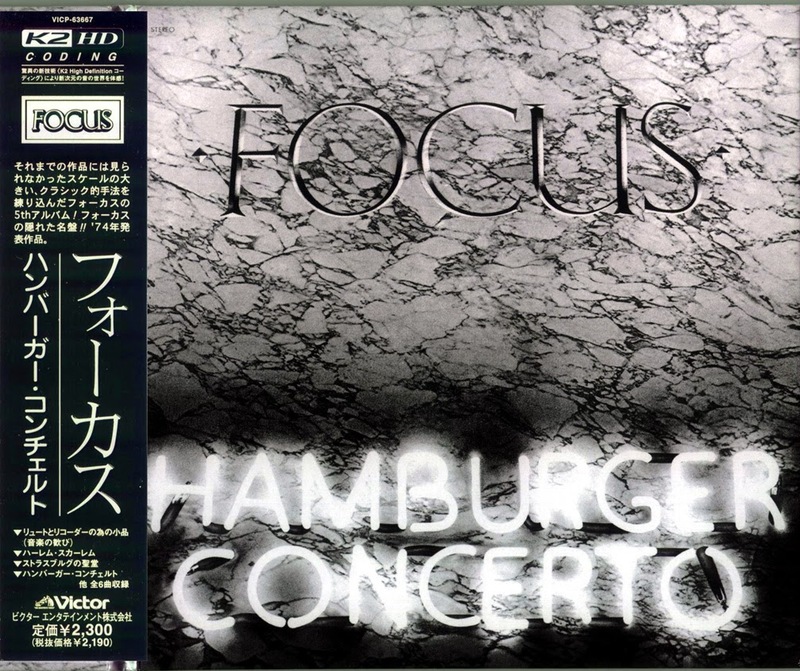 So glad you're enjoying Hamburger Concerto... one of my very favorite recordings of 1974 (a very good year for music). This came on in my wife's car the other day. I was floored. Hadn't hear it in years. And now I am totally obsessed again. Such a great album.